Use JEGS Valve Stems 555-80869 or 555-80871. 681442 - JEGS SSR Spike Wheels is rated 5.0 out of 5 by 5. Rated 5 out of 5 by Jotero124 from Great product best bang for your buck and fast shipping. Rated 5 out of 5 by Captain Morgan from Wheels look great without the expensive price, a little heavy but good job! 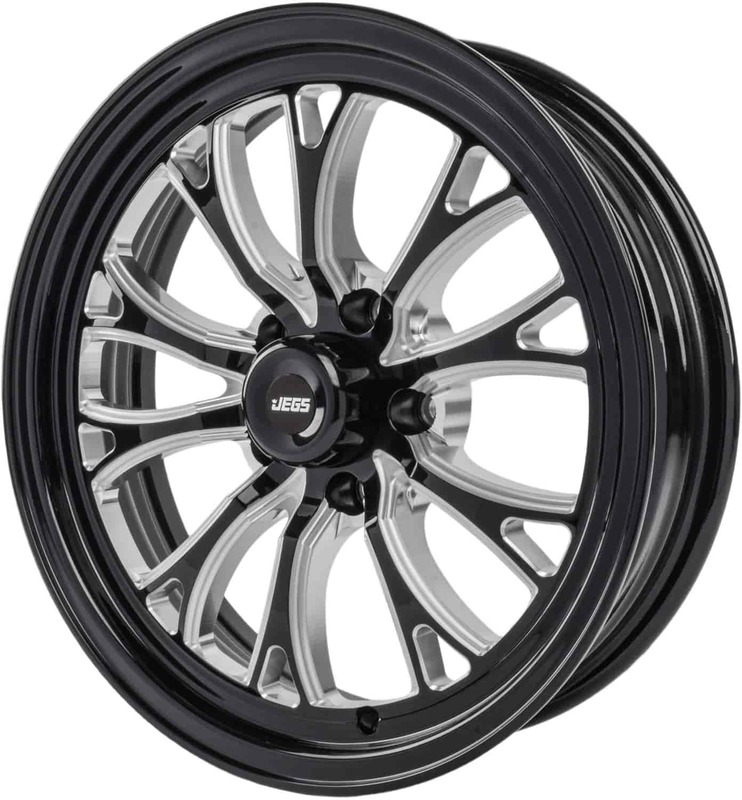 Will these fit a 2007 gt500 with bembro brakes.and do u have 15x10 to fit rear? These will not clear the brakes on your Mustang. How much do these fronts weigh? These wheels weigh approximately 23 lbs each. Double checking brake clearance with skinny wheel is important but it does look like they would. No, they do not come in a 20 in diameter.